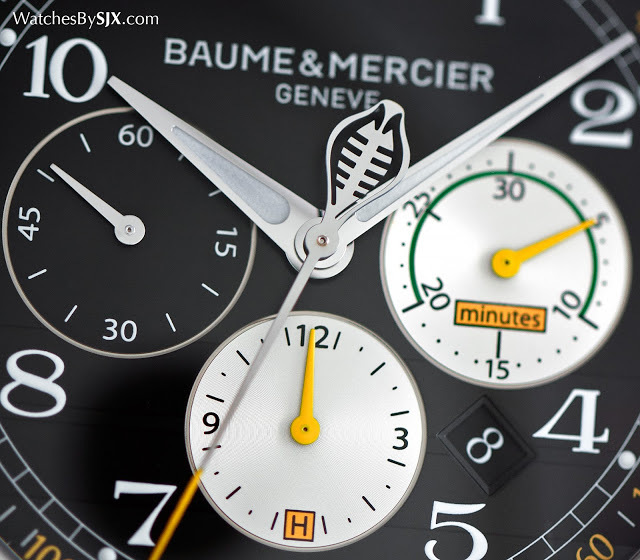 Unusual amongst all the brands that exhibited at SIHH 2016 is Baume & Mercier for the sole reason that it is a brand focused on affordable watches, though more competition is up ahead as fellow SIHH brands reposition their wares in response to the market. 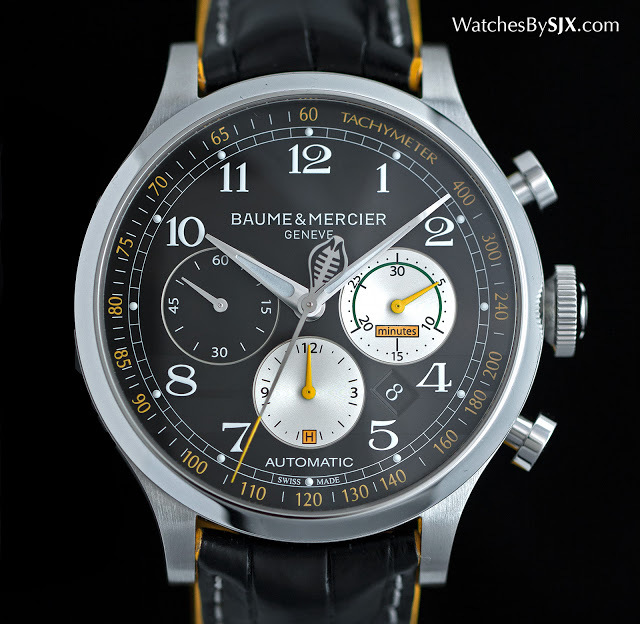 The new additions to Baume & Mercier’s collection of men’s watches for the year were all chronographs and remain accessibly priced. 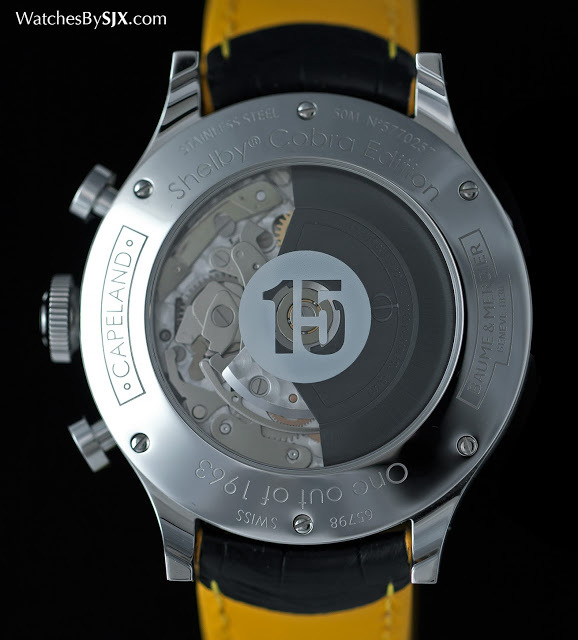 The Capeland Shelby Cobra “Spirit of Competition” is the second limited edition dedicated to the AC Cobra, the 1960s British racing car with an American engine often named after its creator Carroll Shelby. Available in two versions (polished steel or diamond-like carbon coated steel), both limited to 1963 pieces, the Capeland Shelby Cobra has the same 44 mm case as the ordinary Capeland chronograph. What sets it apart is the dial design, which naturally includes several automotive racing elements like the subtle horizontal racing stripes running across the dial from four to eight o’clock. And more obviously, the counterweight of the seconds hand is shaped like a cobra. 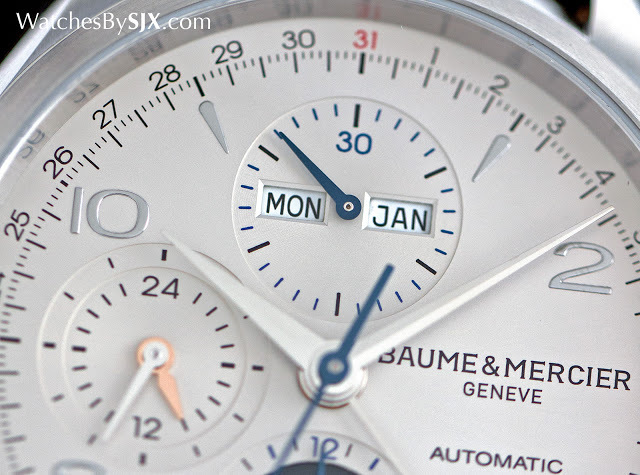 The movement inside is the Valjoux 7750, a no-frills solid performer. Prices are not yet available, but expect this to be about US$4500. 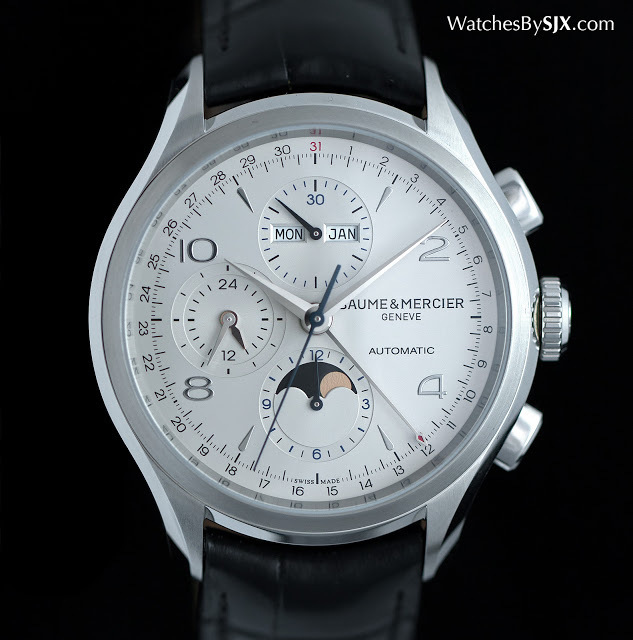 The Clifton Chronograph Complete Calendar is a watch that offers a complicated look for a relatively inexpensive price. 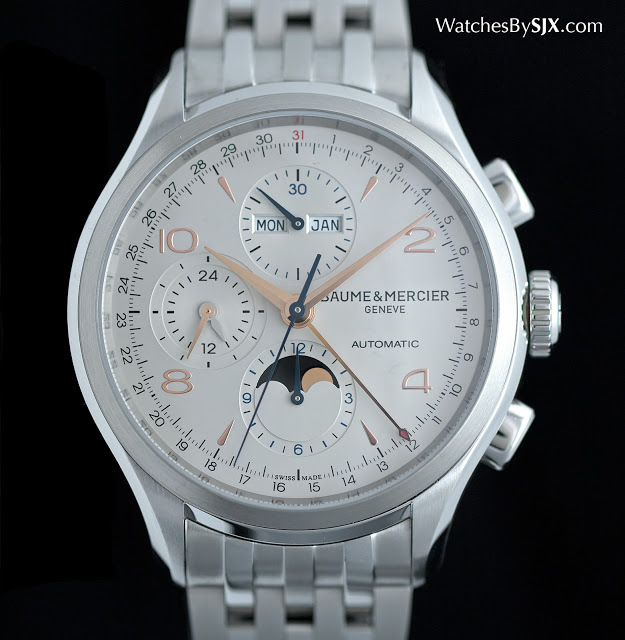 It’s an automatic chronograph with a triple calendar (meaning the day, date, month and moon phase). 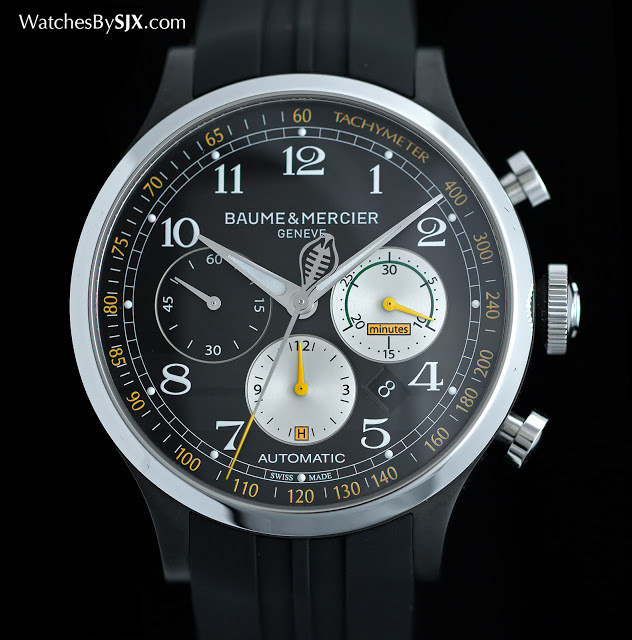 The layout of the dial is a dead giveaway as to the movement inside, which is a variant of the Valjoux 7750, the same robust automatic movement found inside the Shelby Cobra limited edition. 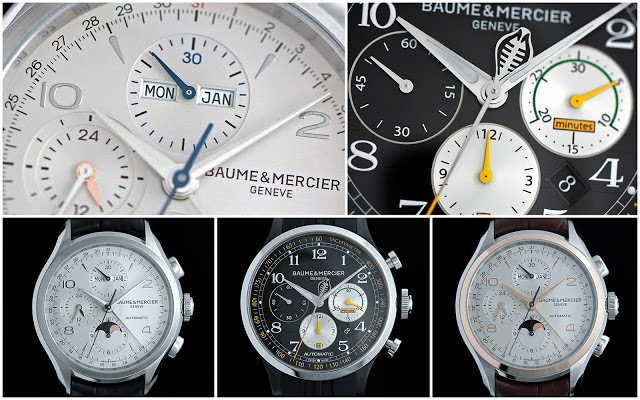 Despite the many displays on the dial, everything is sensibly laid out and easy enough to read. Available in steel or steel with a red gold bezel, the case is 43 mm in diameter, though relatively thick as a consequence of the movement. A detail that raises the feel of quality of the case is the wide, polished bevel running along its length. 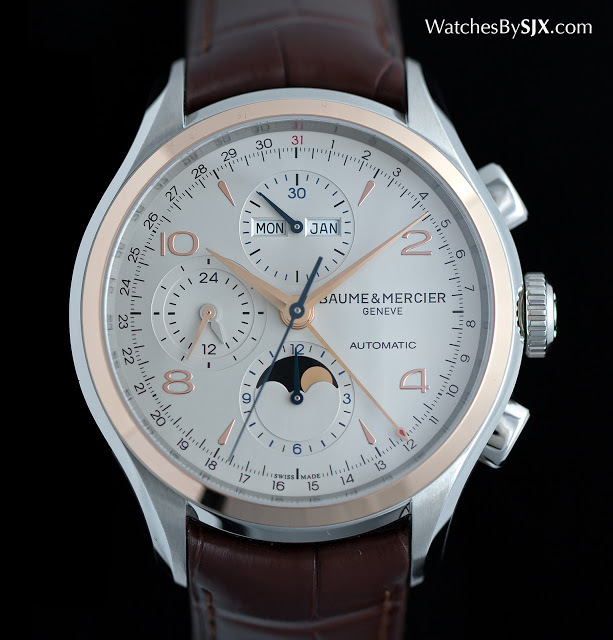 This will start at about US$5000 for the stainless steel version on a leather strap, climbing to about US$5500 for the model with a gold bezel.